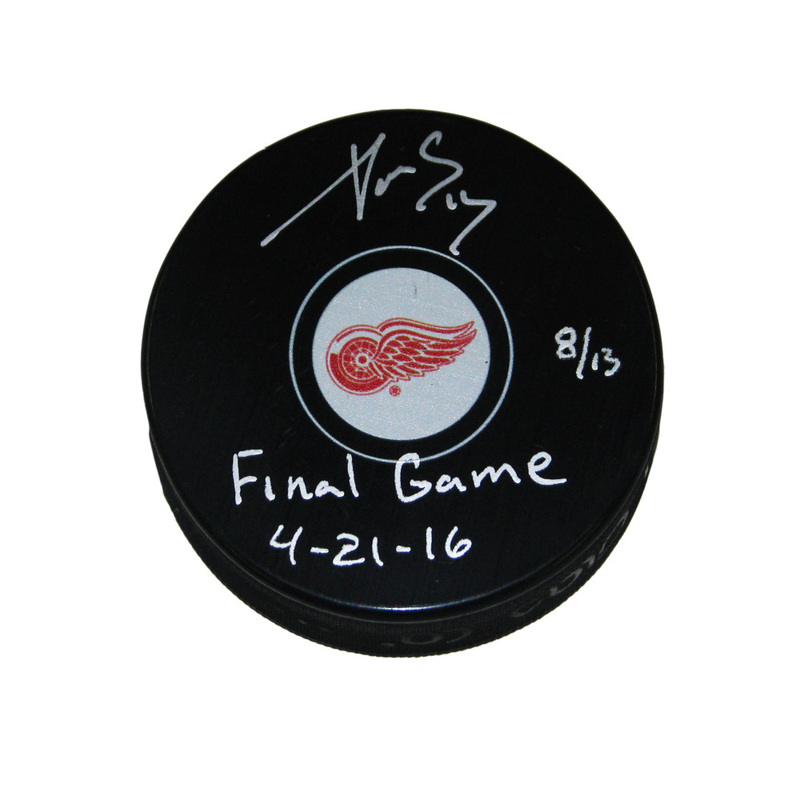 PAVEL DATSYUK Signed Detroit Red Wings Puck with "Final Game 4-21-16" Inscription. Autographed Pavel Datsyuk Detroit Red Wings Puck Inscribed "Final Game 4-21-16". This puck would make a terrific addition to your collection. All of our Autographed Memorabilia comes with our Certificate of Authenticity. Thanks and GOOD LUCK ! !